One part of my job with the agency I work for is to recruit foster families. I show a brief documentary about a foster/adoptive family to prospective families as part of this effort. The images and story of the family gives a brief yet insightful glimpse into the life of a typical foster home. It also does a great job of promoting and showing the struggles and work, yet joy that is found in being a foster family. My favorite part is an interview with a 16-year-old boy who was residing in the home as a foster placement I’m not entirely sure of his whole story, but I get the feeling that he had been passed around a lot and moved from placement to placement. In his interview, the teen describes moving into the family’s home and how much he liked it. He then moved on to giving advice to families who want to foster and adopt out of the system. His words “Let Them Love You” are ones that are hard to forget. At first, I thought he meant for children to let the foster families love them, but then I realized that he meant foster and adoptive families need to let the children love them. Sometimes, it seems foster families give in too quick when a child does not attach right away, or is not the right fit for their home. The matching of families and children is so difficult when placement is needed immediately. I also understand the complex and sometimes severe issues that cause disruptions in and out of homes. However, I just can’t get his words out of my mind. I have heard many people say “I could never be a foster parent because I would get too attached.” I know the pain of being attached to a child, yet having to step one foot at a time into the unknown. I get it. Despite the hardship of it all, the children need attachment. They need for families to love them to the point of not wanting to let them go, but they also need families who will recognize that reunifying with birth family is extremely important. There are over 1000,000 children and youth available for adoption in the United States Foster Care System. Many are children with medical, emotional, and behavioral challenges. Many are part of large sibling groups. Many have meandered through the system without ever setting roots anywhere. Many are like the teenager who spoke on the video I described above. Too many are not anywhere long enough to be allowed to love anyone. I think the best thing those of us working within child welfare could do to make it better is to listen to the kids who are living life in a system made up of judges, case workers, lawyers, and temporary parents. They have so much to offer us if we just took the time to listen. We need to hear to their words and take heed to their insights. We need to give them the opportunity express their hearts and feelings just like the teenager on the video. We need to let them love. 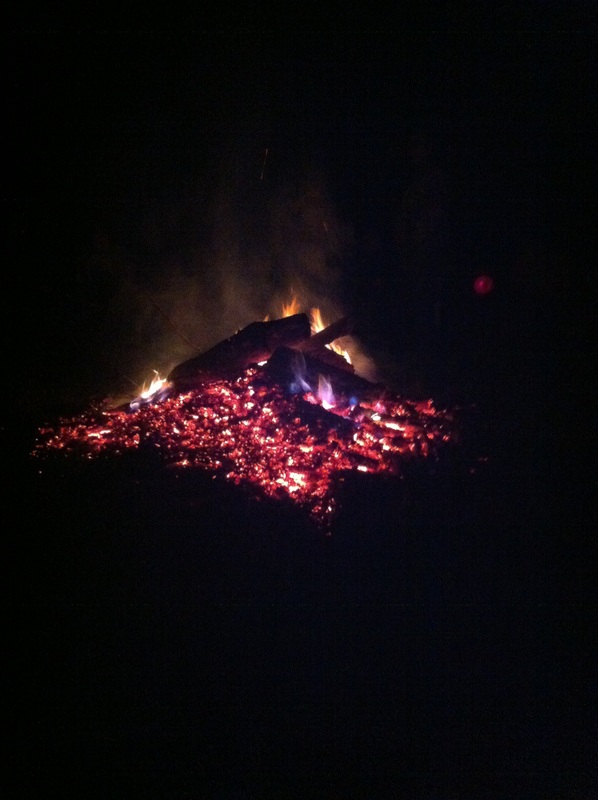 Last night we had the privilege of spending the evening around a bonfire in the country. Hot dogs, roasted marshmallows, the sound of crackling wood, a gorgeous full moon, the chatter of folks, and gleeful screams of children playing in the field next to us made up our evening. Fires are so good at catching one’s eye. I sat and stared for a long time at the majestic wisps of flames as they flickered their way up to the heavens. With the scent of fall in the air and the comfort of a blanket over me, my thoughts immediately went to the reason why we were all out there under the stars. Out of the eighteen or so children present last night, around thirteen of them were adopted out of foster care. Let me say that again….13 out of 18 or so children present last night were adopted out of foster care. Most of the children were siblings of some sort, but not all. A handful of families adopted the siblings. Honestly, it was kind of nice to be at an event where my children were not a minority. Usually when we go to “get-togethers”, or anywhere in general, my kids are typically the only ones adopted; especially out of protective services. There is something comforting when being around fellow parents who have experienced the journey of being a foster parent and adopting. We are able to swap stories of our experiences and compare notes. We can relate to the challenges sometimes experienced when raising children with histories of abuse, neglect, prenatal exposure, or separation from family of origin. We can also talk about resources that may come in handy if future issues should arise. Last night, I took a moment to look out in the field at the children playing. The image of glow sticks in hands, glow-in-the-dark balloons bouncing up and down, and the sounds of laughing children running freely through the field filled my mind and my heart with gratefulness. I thought about how their young lives were interrupted by the ways of the world and the poor choices of their birth parents. I thought about the losses every single one of them has endured already in life. I thought about the adults around the fire who took them in. I thought about the opportunities they have because of permanency in their lives. I thought about how they get to have a childhood free of abuse. I also thought about how lucky we are to be a part of this. Adoption out of foster care is not a second best choice. It is not reserved for only those who cannot afford private adoption. It is not just for couples who are unable to have biological children. It is a blessing to parent a child whose beginning to life automatically put him or her in the category of the “least of these”. It is a blessing to meet other adults whose lives have also been impacted by the decision to become foster parents. We are all connected in some way to each other by the children playing in the field. We are all a part of something bigger, something more eternal, and something better planned for these children. As I watched the fire burn and looked around, thankfulness filled my heart. We were all brought together by the one true God who brings light into dark places, hope into hopeless situations, and love into the lives of all of us.